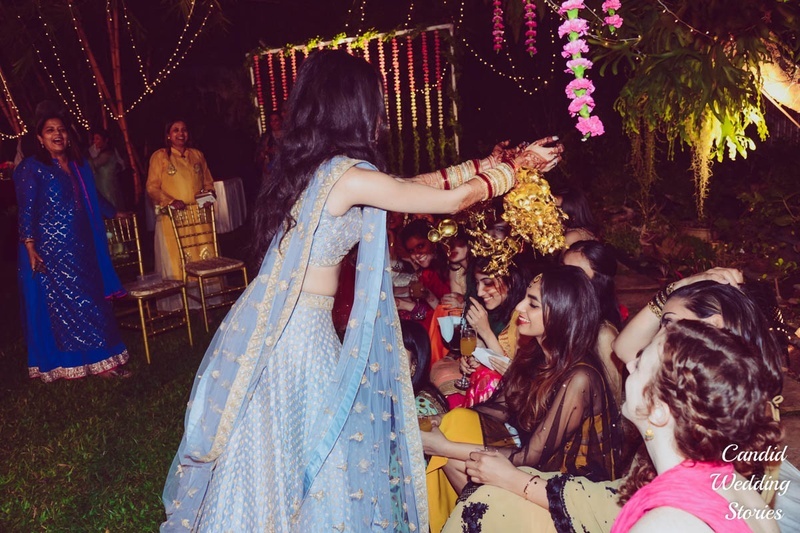 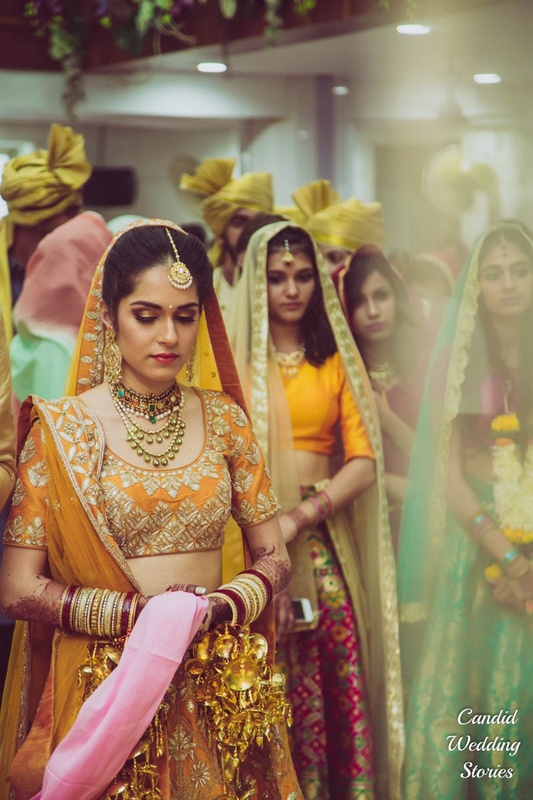 This bride's yellow Sabyasachi lehenga is breaking all wedding rules! 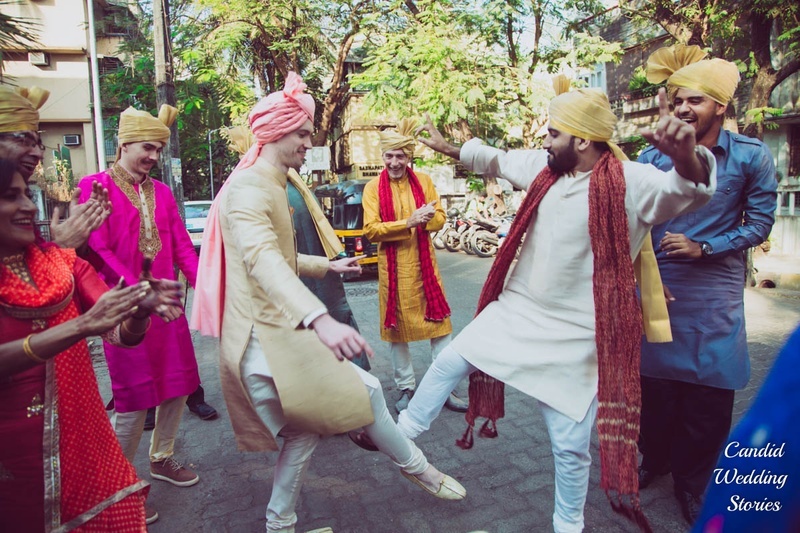 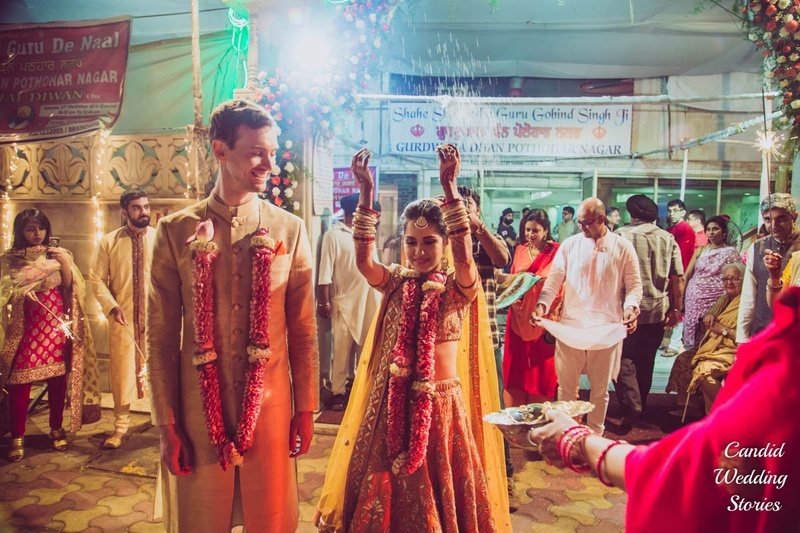 Joseph and Ananya just tied the knot in a beautiful Mumbai wedding, celebrating their union at a gurudwara! 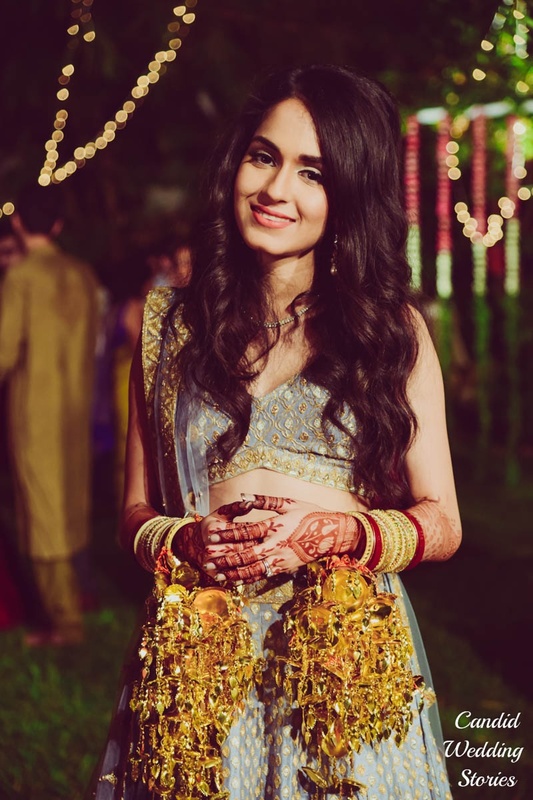 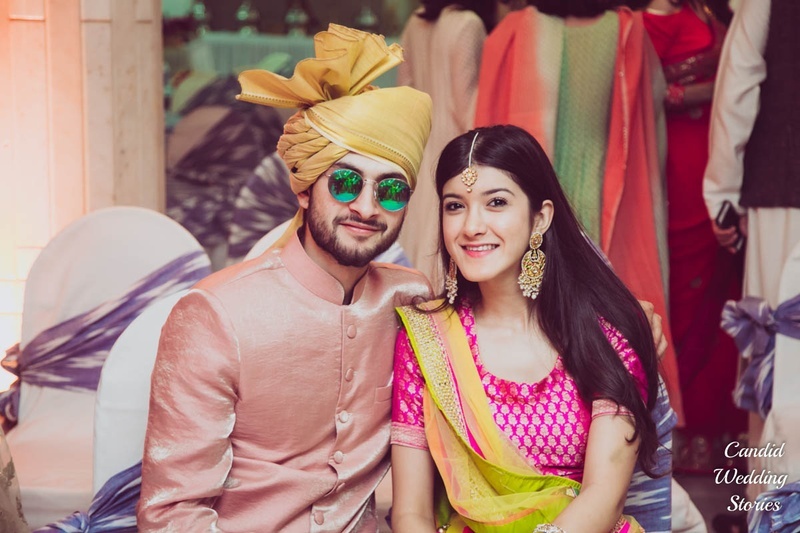 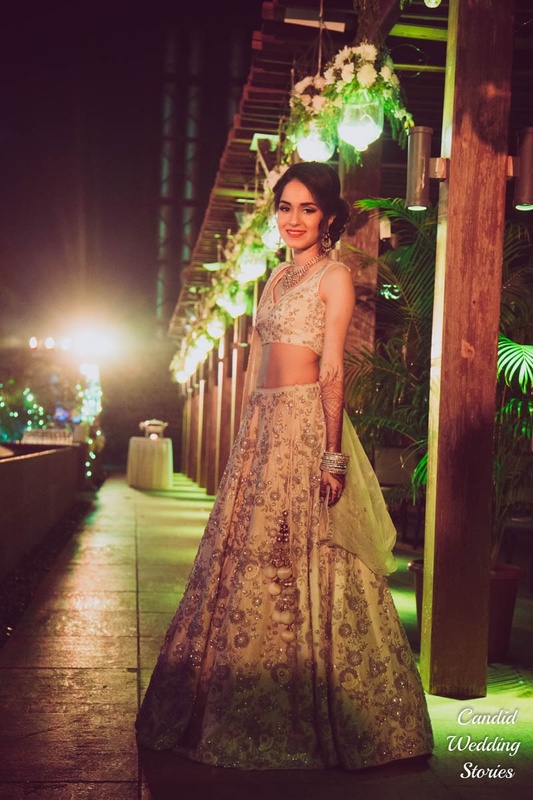 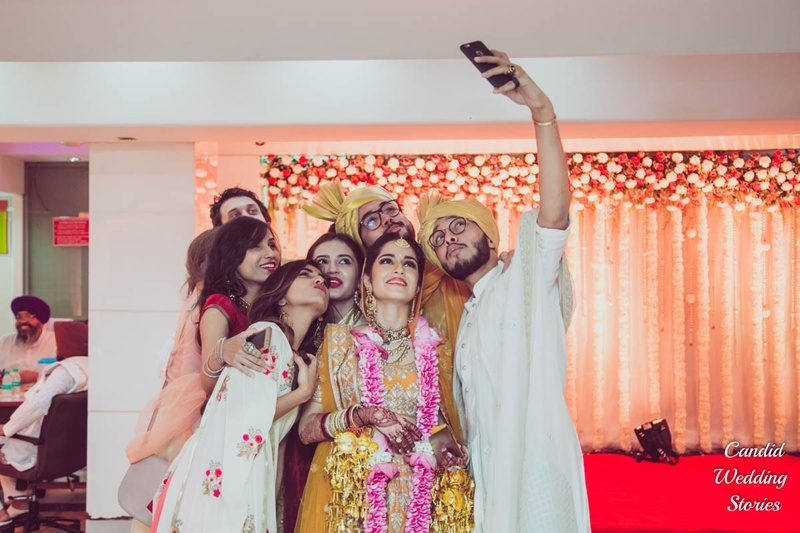 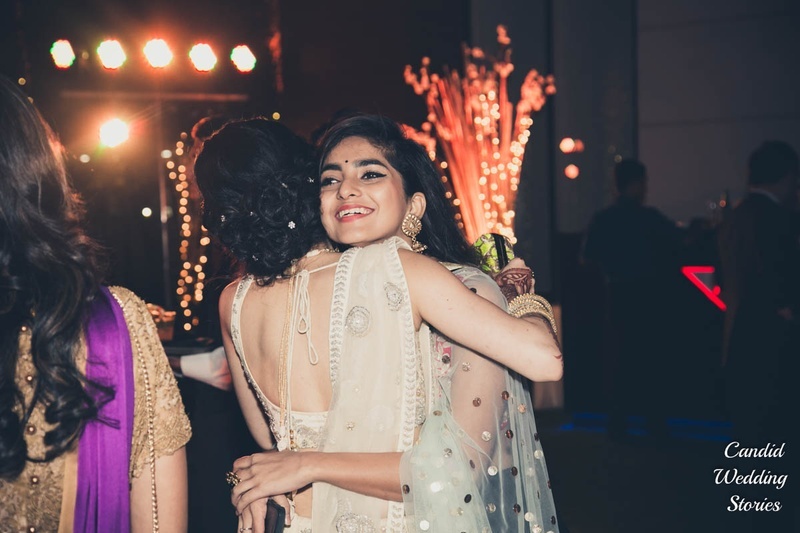 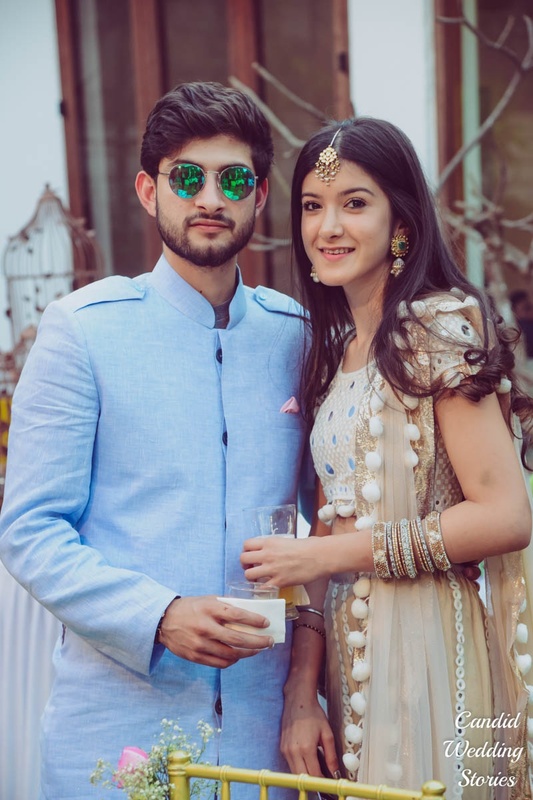 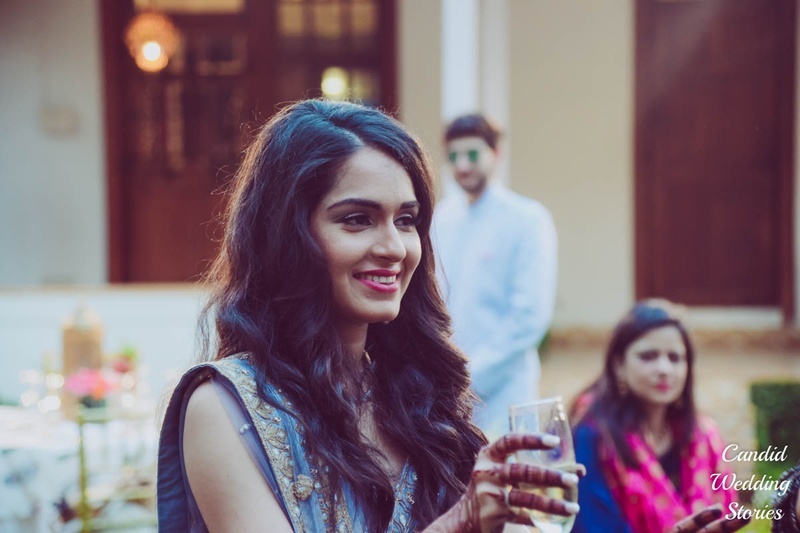 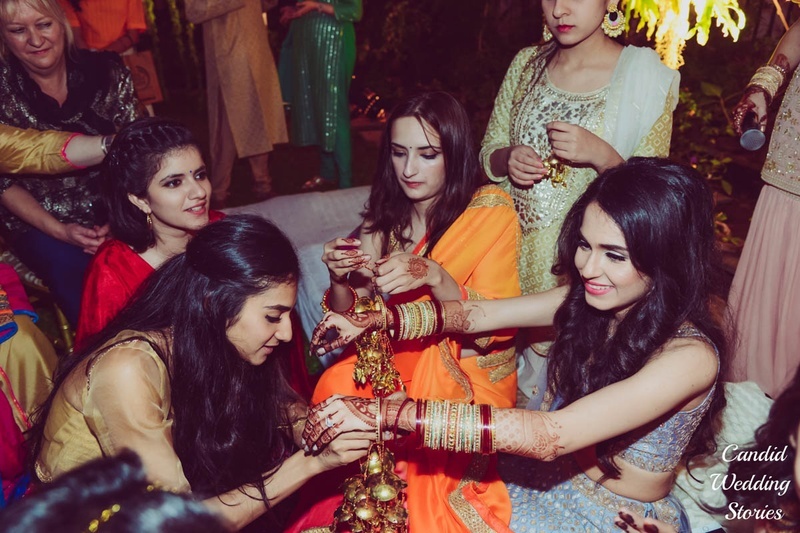 A graduate from London School of Fashion, Ananya’s wedding surely saw the coolest outfits. 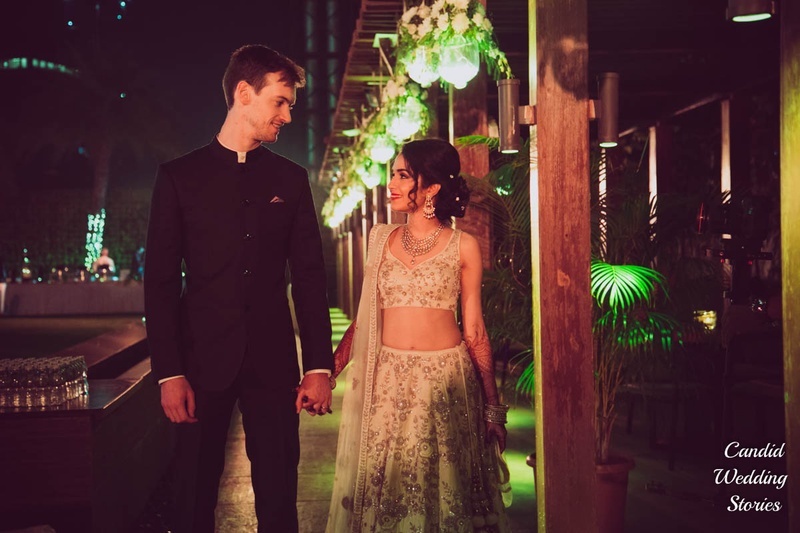 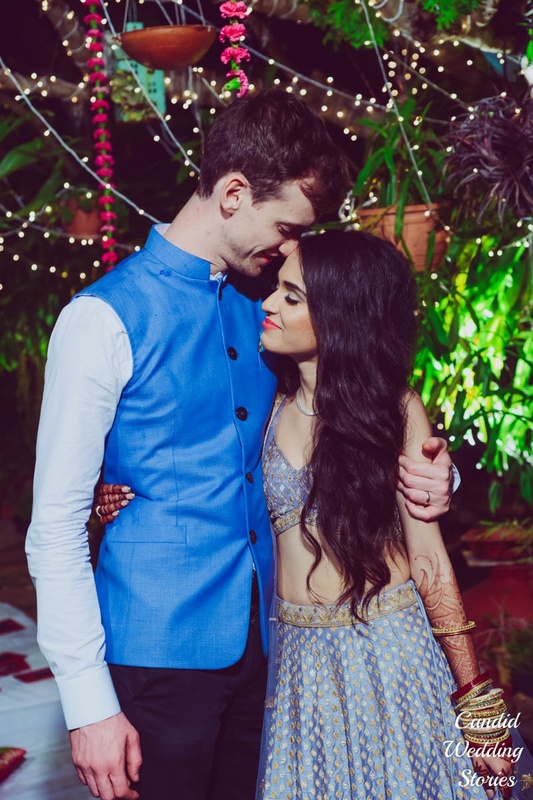 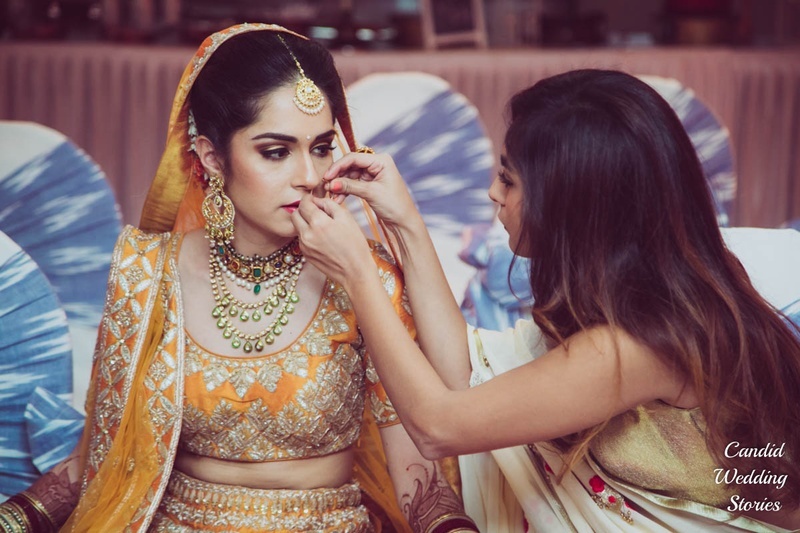 From an absolutely gorgeous yellow Sabyasachi lehenga that we’ve never seen so befitting a bride before, to a an ethereal lehenga for her sangeet, this designer put everything into her dream wedding! 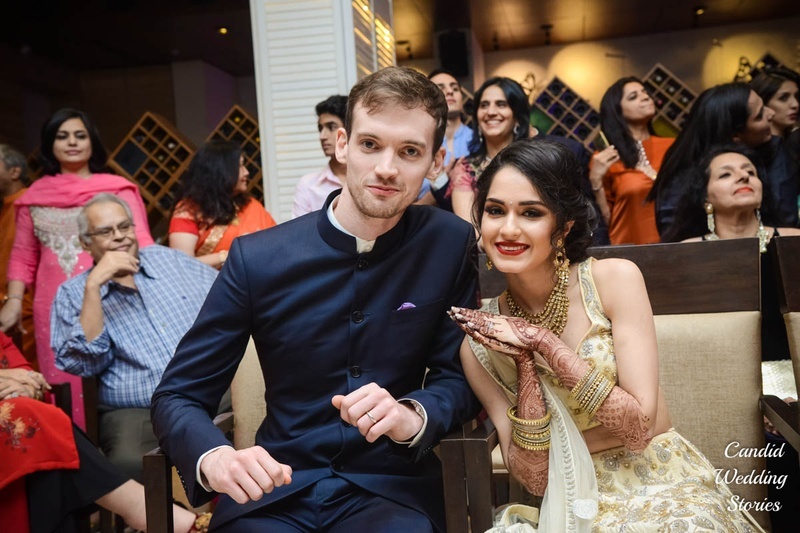 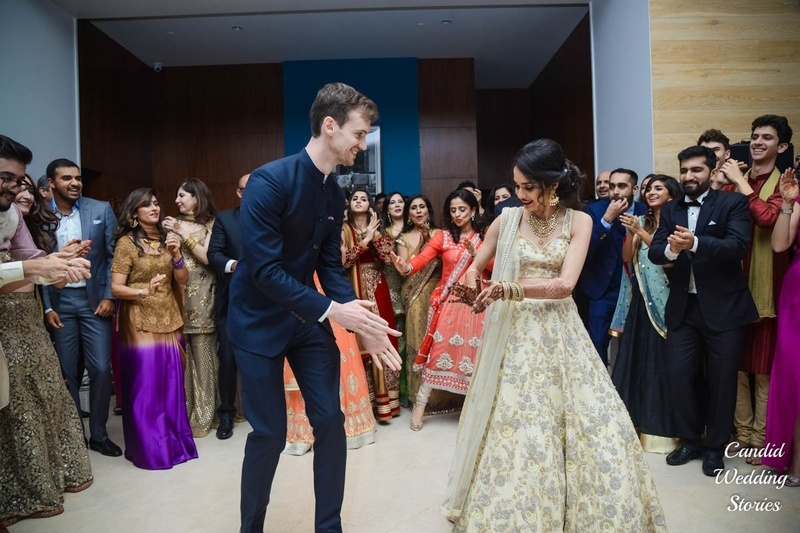 Joseph and Ananya first met when the bride was studying at London School of Fashion and the groom was working. 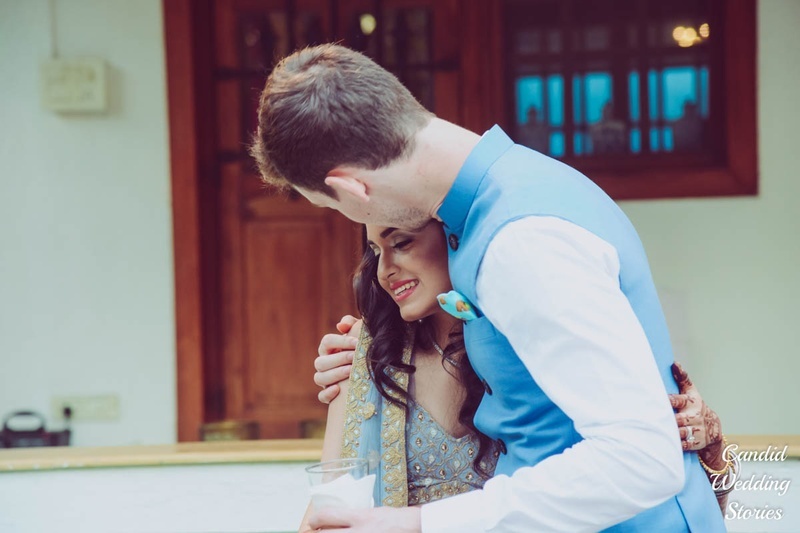 “I saw her and i knew i wanted to take her out. 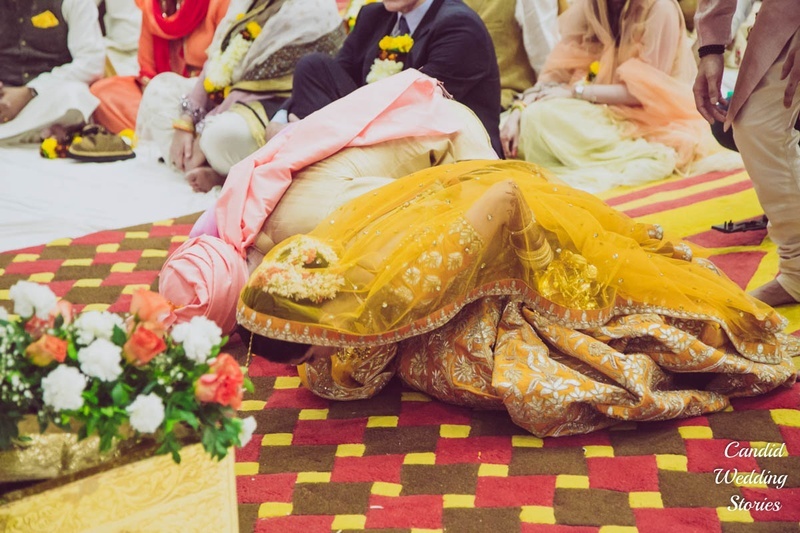 So i basically pestered her until she agreed to go out with me! 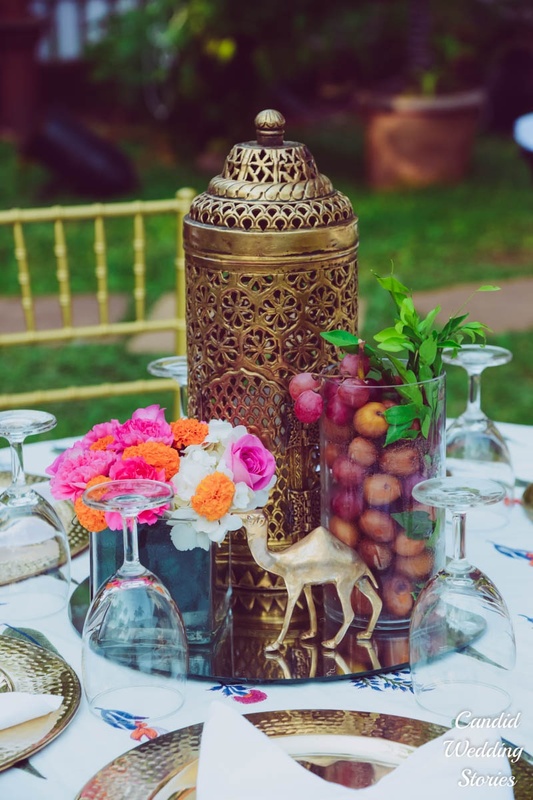 We went for sheesha and we stayed there just talking, until the place shut” gushes Joseph. 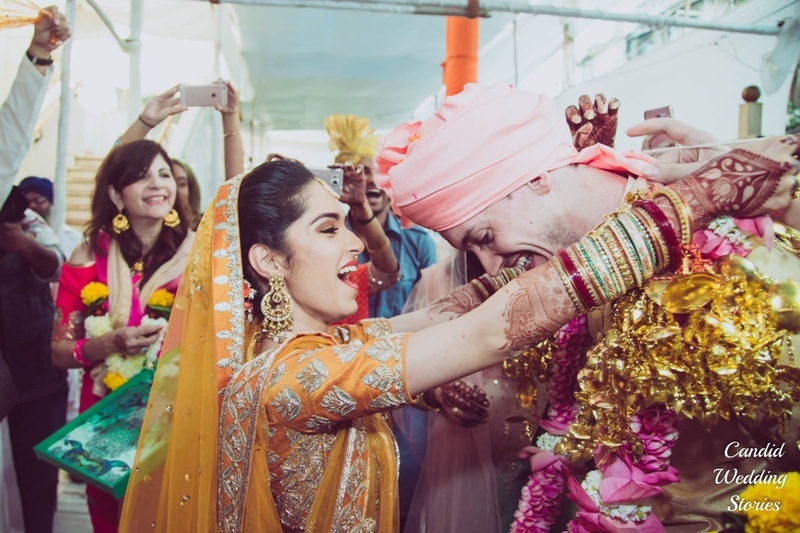 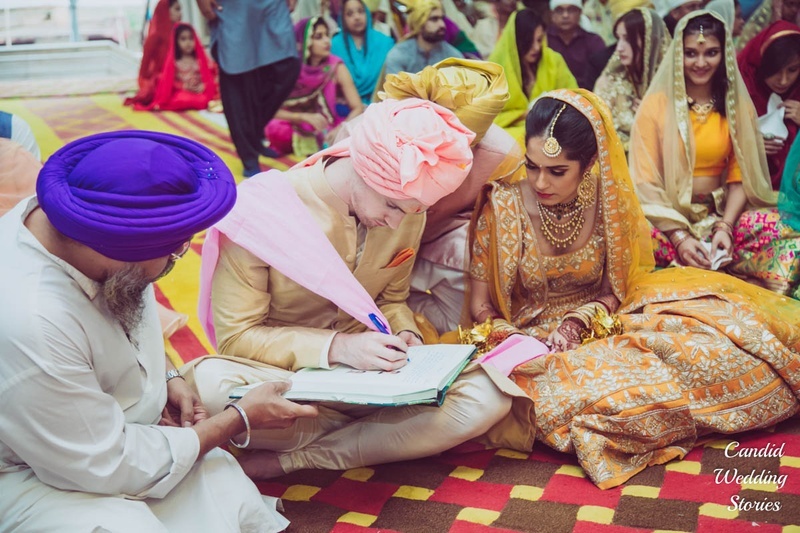 Ananya and Joseph’s wedding took place at their gurudwara, according to Sikh rituals. 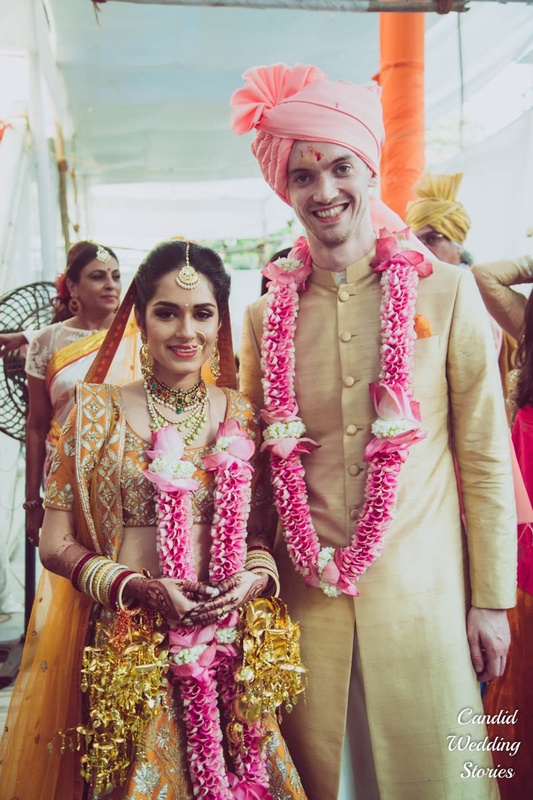 With the bride and groom twinning in a gold sherwani and a yellow lehenga, the peach and white decor was a welcome contrast. 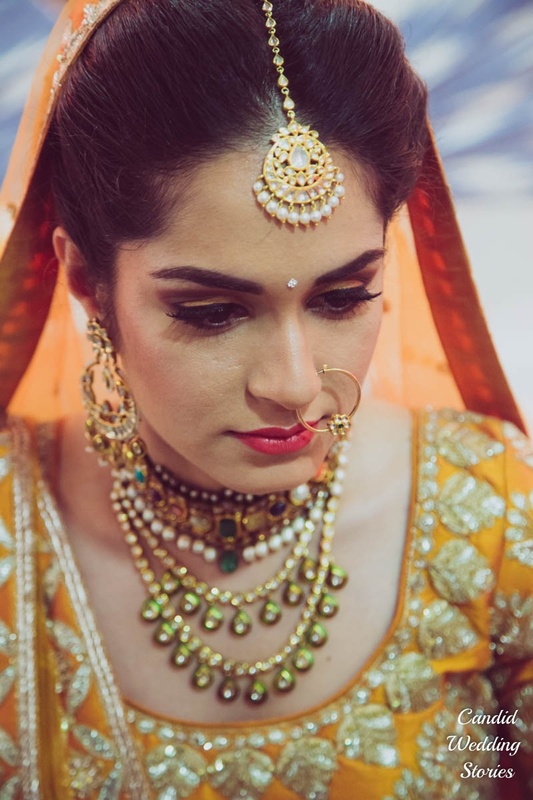 What stole our attention however, was the unique way in which the bride paired her jewellery and makeup. 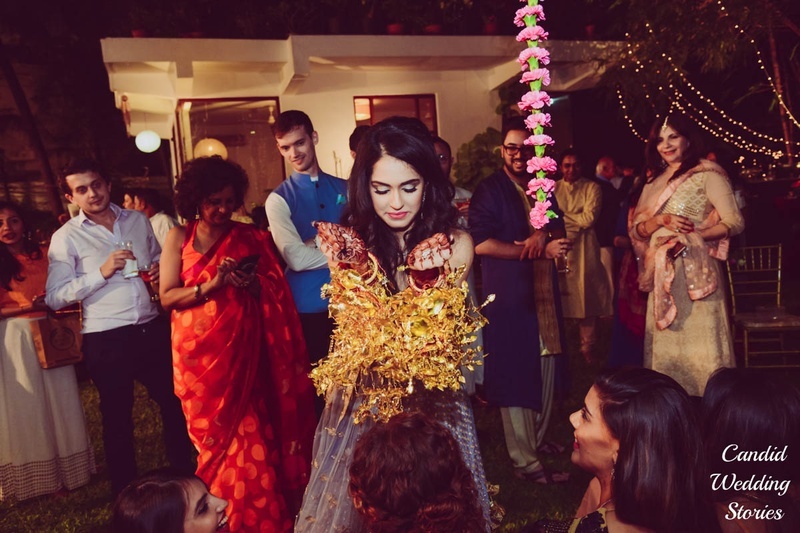 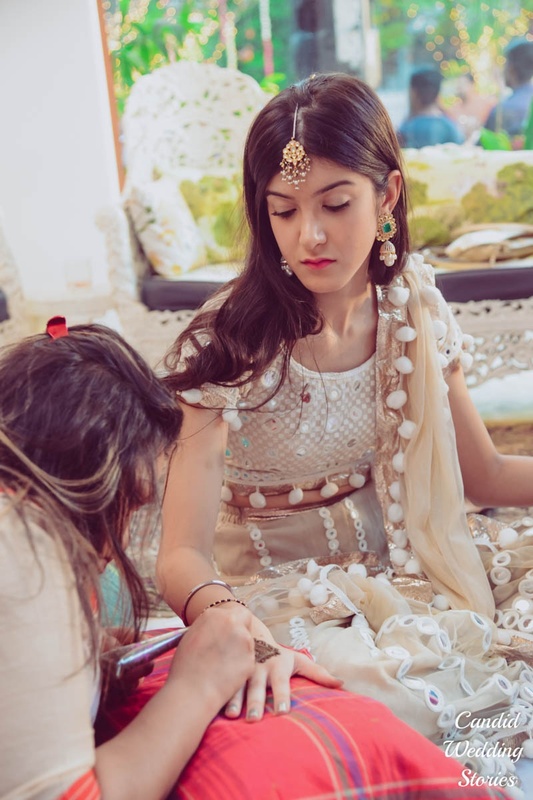 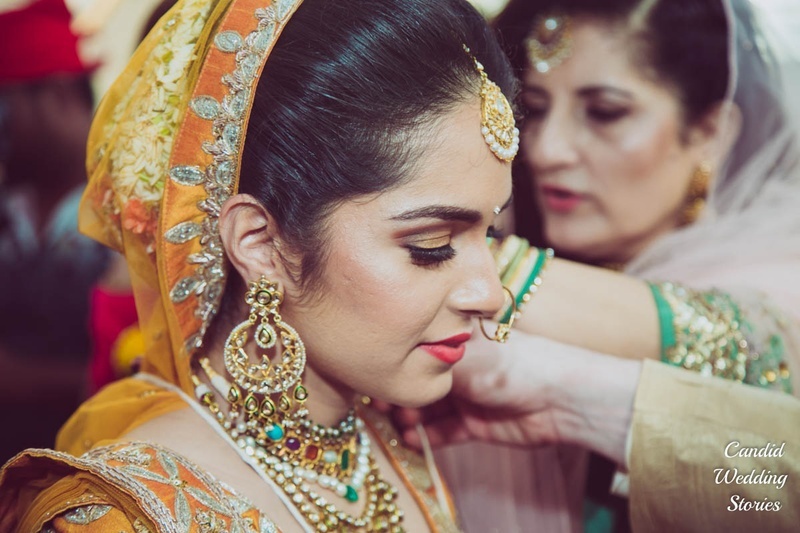 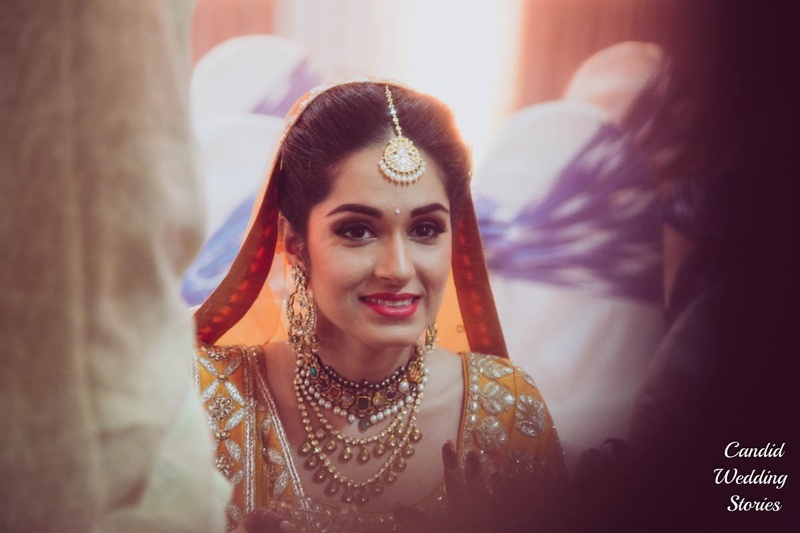 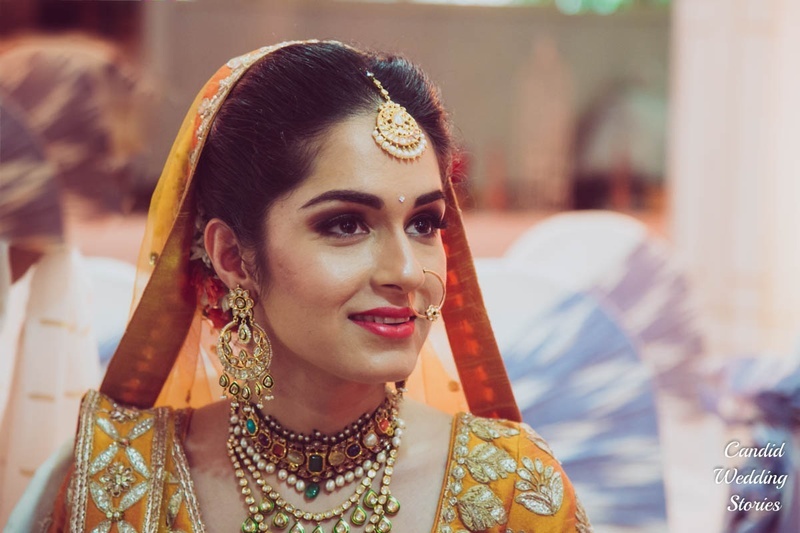 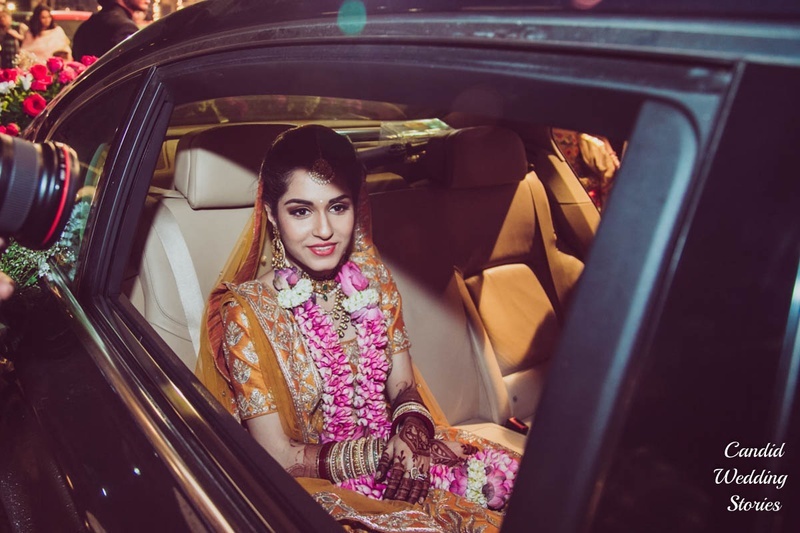 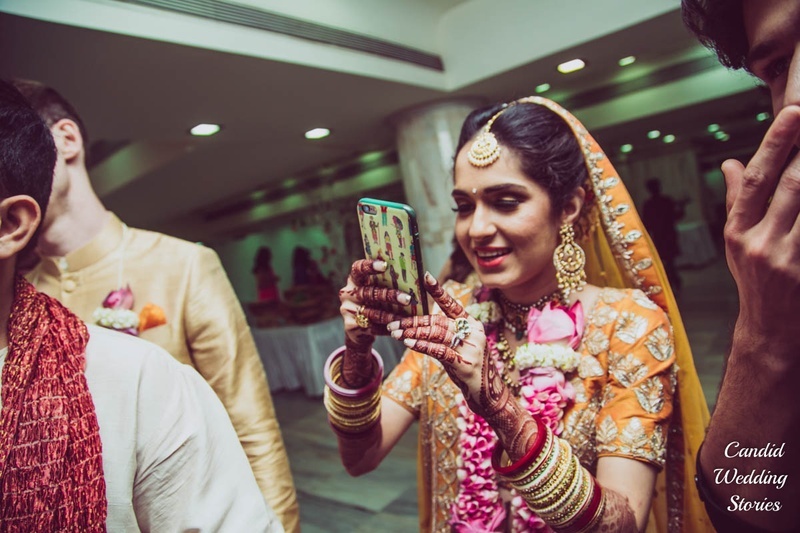 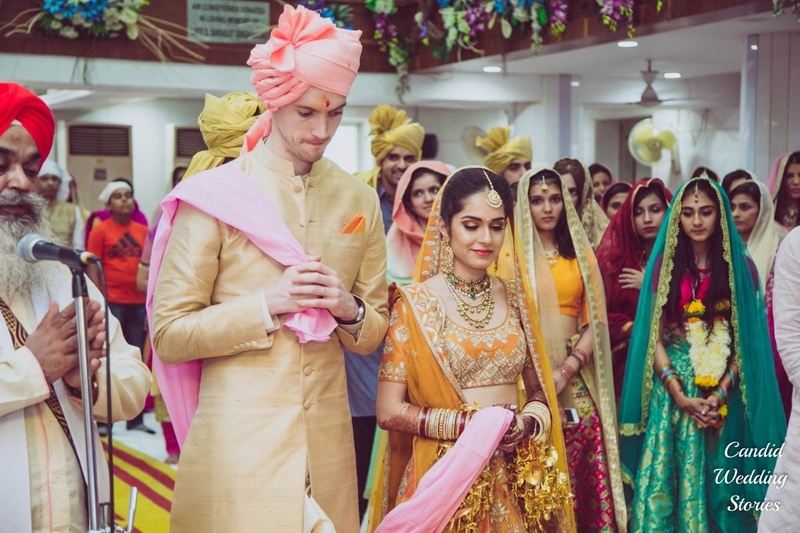 Choosing stunning, statement pieces which lent the feel of heavy jewellery, she forgoed the nath and kept her makeup minimal, balancing the entire bridal look! 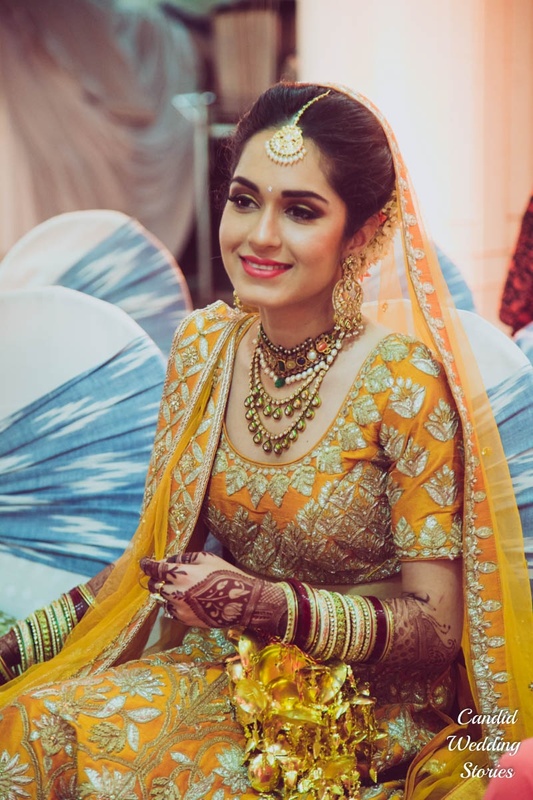 Bridal portrait of Ananya in her minimal jewellery and yellow Sabyasachi lehenga for the wedding ceremony!